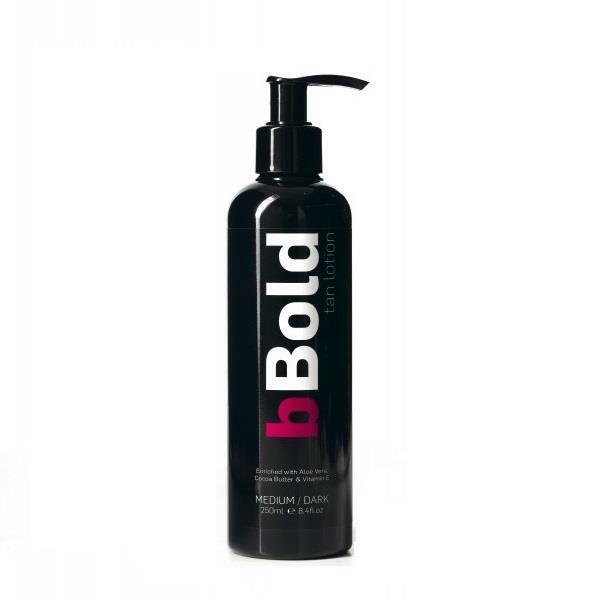 bBold Tan Lotion is a self-tan lotion that gives you an instant golden colour. This refreshing fragrance includes Aloe Vera, Vitamin E and Cocoa Butter extracts. These active ingredients all work together to ensure your tan and skin looks radiant, nourished and hydrated. This quick drying tan last up to 7 days and is available in dark & medium.